Brenna Aubrey is here today, answering my Twenty Q's and being all sorts of #Amazing!! She recently had her sixth book in her Gaming the System series drop, and it is FANTASTIC! I would never do that to you guys, so I will stop fangirling, and just let you check it all out for yourselves! Actually I’m kind of both, but that grew out of necessity. I was a night owl all through college and hated mornings. Then I got a job (teaching) that depended on me being functional early in the mornings and I had to adapt and be able to function well each morning. I love contemporary romance. I’ve actually written many words on a long, drawn out epic fantasy (my first genre) but even that revolved around a romantic story of second chance love. So I just naturally gravitate toward romance. I’d have to say the springtime because I love the cycle of rebirth and spring in Southern California is truly gorgeous. The Orange trees and Jasmine bushes bloom and the scent of honey is everywhere in the air. The Jacaranda trees flower in shades of purple. It’s beautiful. The weather is just right and I feel inspired and creative more than at any other time of the year! I wrote At Any Price in the springtime. See Antarctica. I love penguins. Visit Africa to see all the wildlife and natural beauty. Swim with a wild dolphin. It’s the default iPhone wallpaper because I love the star scape. It’s beautiful so I kept it. My writing notebook (usually a Moleskine, complete with index at the beginning), a good pen and my phone/headphones (for music). Oh, everywhere! I often start a playlist the first thing when I start a new book, so definitely music. In between projects I also binge on streaming movies and TV shows and read a lot to refill the creative well. It all helps. I also try to visit art museums when I get a chance or look at visual pieces online. The visual arts really inspire me as well. Anne Frank –optimism and strength and hope against all odds. Her short life is worth analyzing and emulating. She was an amazing young woman. Voice. Eyes. Hands. Forearms. Rawr. But all of that male beauty is for naught if what comes out of your mouth is moronic. I can’t take a guy who is hung up on himself. Most unattractive thing, ever! I love vegetarian toppings! Especially artichoke hearts. Darn it this question makes me want pizza! Black Walnut or Rocky Road! I like crunchies in my ice cream. I am a total stress eater. Sweets or salty. Carbs or proteins. Comfort food all the way. Spidey all the way!!! No contest. He’s nimble. He’s quick. He’s smart as a whip. I have been a lifelong Spider-Man fan and so I vote Spidey! My spidey senses are tingling. OF COURSE it did. How is this a question? Hahaha Where else would we have gotten the moon rocks from? And the moon walk. At Any Price would probably make the best movie and I think a lot of that has to do with the tension and sizzle between Adam & Mia. Jane Austen is my favorite author. My favorite book, Persuasion, was written by her. All the time. Easter Eggs are fun to tuck away in the most unlikely places. It’s fun when people point them out to me, too. Coffee. It’s a writer’s drug of choice. No I brainstorm stories in the shower LOL. Some of my best ideas were born while relaxing under a hot spray. Intriguing choices here but I think I’d choose to be able to speak to animals. I love animals a lot and always have. Start the new series and continue with Gaming the System series for the foreseeable future! Hoping that Girl Geek will release in late May. Want more info? Want to purchase one of these books? Click on the book cover achieve these tasks. This is currently a FREE Web Serial Prequel to At Any Price, the first book in Brenna's Gaming the System series. She usually posts a new chapter every couple weeks, but it's about to come to an end! We are almost to the point where At Any Price begins, and you are in luck! At Any Price is Currently FREE on all platforms!! Yes, you read that correct. Not only can you read this #AWESOME Prequel, but you can, also, pick up the first book for FREE, and start your journey into the lives of these #AMAZING characters!! 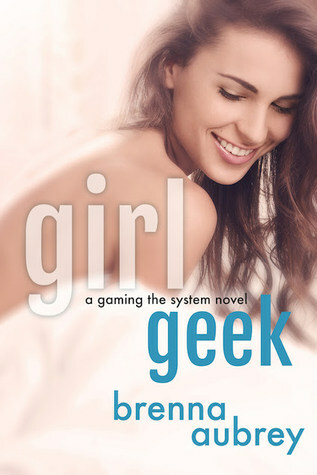 I have provided links to the Prologue, and the chapters currently posted below this fantastic Geek Girl cover. If you click the cover it will take you to the Geek Girl website! 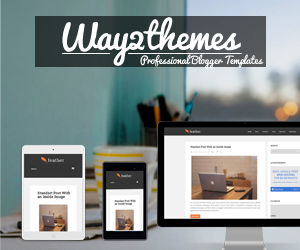 Want Exclusive Content and Giveaways? Join Brenna's Facebook Reader Group for more inside Awesomeness!! Unfortunately for us all, Dragon Epoch is not real, but there is still hope! You can channel your inner Eloisa, Fragged, Persephone, and FallenOne by playing a game similar to the one played by the characters in the book! You can now play and level a character up to level 20 for FREE!